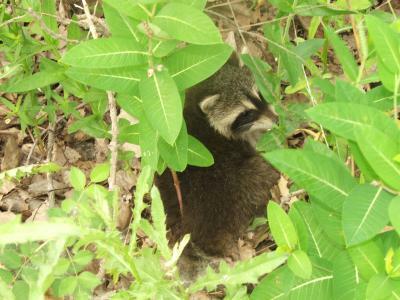 I was hiking with my niece, Michelle, when we came upon some baby raccoons. We went and got our cameras and took some pictures of them. I love this one! The little guy was just sitting amongst the thistles and the milkweed enjoying the sunshine! This is truly a piece of nature's beauty. This is such a cute picture. Truly nature's beauty!